Promoco has been providing Creative Promotional Marketing in Northern California Since 1986. We offer a full range of Promotional Products, Marketing and Branding tools and more to help make your business a success. So, if you’re looking to make a big impression with your next giveaway, give us a call. Our dedication to providing you with the “perfect idea” in a timely and cost effective manner is evident every step of the way. From the initial planning through the final signature of receipt, our focus on the fine details goes far beyond order fulfillment. We eliminate problems before they happen and discover solutions that are truly unique. Learn more about how to put our over 30 Years of Experience to work for your company. Apparel can be a lasting branded item that recipients will wear long after an event is over. Promotional Products are a great way to market your brand with an endless amount of choices available! Award programs give companies an easy way to promote, encourage, and reward team productivity. 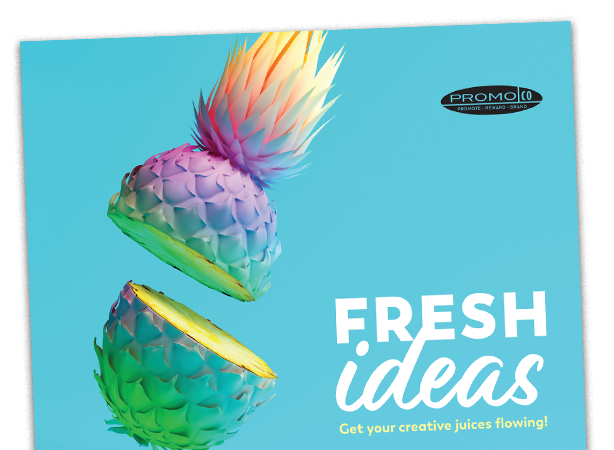 The best ideas start by calling your dedicated Promoco Marketing Representative - 800.274.4684. Promoco has been providing effective and thoughtful promotional products for over 30 years. This long term commitment gives us the resources to uncover innovative items and creative solutions that might otherwise be missed. Promotional products are tangible symbols. Printed with a company's name, logo or message, and include useful or decorative articles of merchandise that are utilized in marketing and communication programs.